Truecolours Textiles is founded in Amsterdam, made in India. We want to introduce eco-friendly and socially responsible fabrics to the European Market. We hope to inspire consumers to be more conscious in their choices, not only to support other people but also their own planet. In addition, we strive to inspire fashion brands/houses to make a conscious choice for eco-friendly fabrics and socially responsible produced fabrics. All our fabrics are sold by the meter and all available in stock in our webshop and at our office. This way we hope to contribute to the new designer generation to make it possible that they can make a conscious choice in their well-chosen materials. This is our way to contribute to a better and more just world. A unique feel and look achieved by hand process that cannot be replicated through machines. 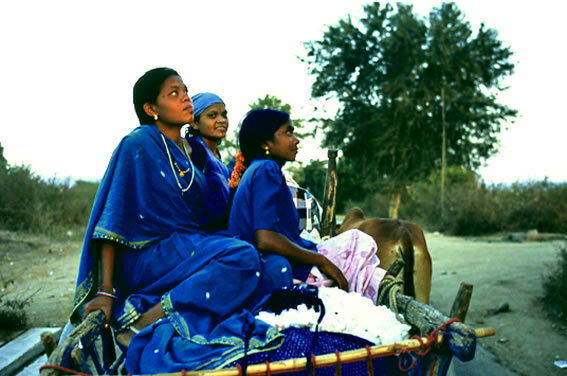 Fabrics that have been crafted by Indian artisans using ancient old tradional weaving methods and which creates employment to thousands of people. We choose consciously for these beautifull handmade fabrics to support these people living in other circumstance then our western modern world. Natural dyed fabrics have been dyed with all ingredients from Mothure Nature. In the dyeing process we do not use chemicals additives. If not 100% natural dyed we use GOTS certificated low impact chemical dyes. Organic cotton is grown without using pesticides and using only methods and materials that have a low impact on enviroment & the people working with the cotton. Farm workers in conventonally grown cotton fields around the world suffer from an abundance of toxic exposures and related health problems. 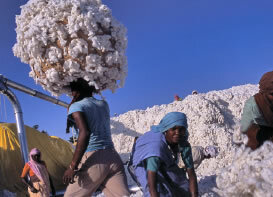 We cannot go on using disposable people for making disposable cotton. 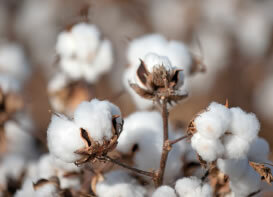 We believe using organic cotton will saves and improves peoples lives. But also provides you a cotton softer to the touch without skin irritation. Our partners In India are continually innovating their product process to find new enviroment friendly fabric or to make their excisting fabric collection more sustainable. Innovation is the drive to succes that sustainable fabrics will become conventional use. 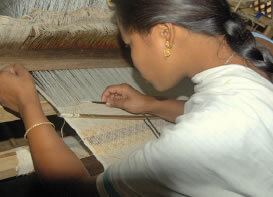 The word ‘ethical’ here comprises four characteristics, namely the environment, social values, transparency and the preservation of traditional handicraft techniques. Ethical fashion is fashion that has been produced with respect for people and the environment. Although there are existing certifications for Organic and Fair Trade, we want to encourage companies who are taking significant action but don’t qualify for certification. This might include companies producing locally or on small scales in developed countries, who might not qualify for Fair Trade certification or companies working with farmers to transition to sustainable crops but who might not yet qualify as Organic (which takes a few years). Products that have been crafted using artisan skills such as embroidery, which preserve the perpetuation of ancestral traditions. We refer to ‘craft’ when we talk about either the maintenance of traditional crafts in developing countries or the small scale, local production of products by craftspeople in industrialized countries. In relation to fashion, we use the word ‘vegan’ for all fashion products that have been produced without the use of any material that comes from animals. This also includes, for example, glues in which products coming from animals can be traced. Products in this category therefore have been made without the use of leather or animal tissue products. Examples are shoes and bags made from “vegetal leather” using Amazonian rubber instead of animal skins or other recycled or man-made materials. 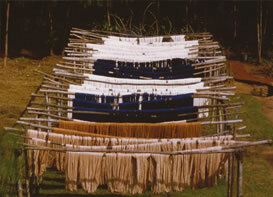 Natural dyeing means dyeing with medicinally rich herbs, plants, minerals or oils. All a gift of nature, which will only be used in the rhythm Mother Nature does provide to us. These materials are grown naturally in the environment and are take from environment without harming plant or enviroment. They grown organic without using pesticides or other toxic materials. The further entire process in making these materials into usuable colorfull fabrics was developed though extensive research on age-old dyeing methods and every nescarry step is achived by naturally threatment. The people dyeing these fabrics will not inhaleany toxic which will cause health problems. Therefore it can be considered as an eco-friendly an social-friendly process.